Strata Water Solutions (SWS) has been supplying, fixing, reading meters and managing the SAWater accounts for Strata and Community Corporations for over 21 years. Meters are read throughout the state, across the Adelaide metropolitan area and currently extending to Roxby Downs, Robe, Normanville, Victor Harbor and Murray Bridge (no extra charge for regional services). Meters are either fixed by contract plumbers or are incorporated in new building developments or fixed by the customer’s own plumber. 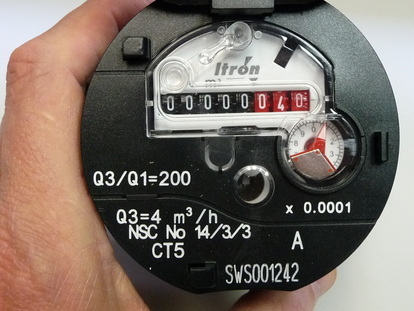 In our case we stock and install the same meters used by SAWater under current contracts – Itron and Elster meters. Reading in remote areas is normally undertaken by a local contractor or a designated owner. A discount on the normal quarterly administration charge applies in this instance. Strata Water Solutions has in excess of 9000 customers receiving the individual itemized water accounts. A similar service provided for Electricity and Gas is not as significant but continues to expand as Developers install sub meters on new Community Titled properties. Purchasing the Itron meter from Strata Water Solutions will save you a significant amount of money. The Itron Hot Water meter enables us to process gas accounts in apartments where all appliances are generally electric and gas accounts are a measure of hot water used in the shower and kitchen sink or washing machine. 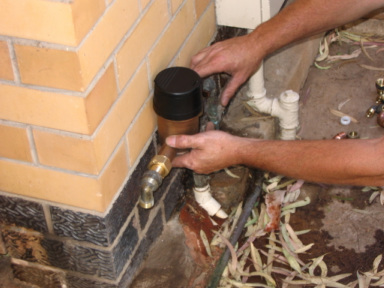 In cases where a provider takes quarterly reads of hot water meters for gas billing purposes, Strata Water Solutions can apply to the utilities provider to receive these reads in order to bill owners for quarterly water usage (ie. hot + cold water usage). There are many meters on the market available to the general public. There are many hybrid lookalikes and many of these meters would meet a user's requirements but be aware - many do not identify the manufacturer and they do not have a serial or meter number. They may have an international standard enscribed, however without an Australian standard and being a patented approved product they are illegal and you can be made to remove them while being issued with a significant fine. Our meters are read by trained, experienced meter readers. For your peace of mind, all readers have completed a recent police check. 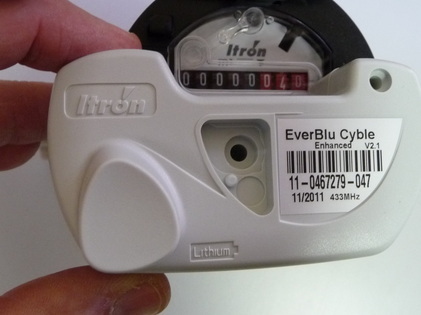 Once every three months a reader will visit your property to take a reading from the meter, either electronically (from the street via a remote reading device) or manually from your sub-meter. Water meters are read in accordance with the schedule provided by SA Water. Not to be confused with electricity meters, our electronic (remote wireless) meters allow for the meter to be read remotely off-site. This option avoids any interruptions for you at reading time, and depending on your requirements can also allow the meter to be fixed in an obscure but more convenient position e.g. in the ceiling or below a kitchen sink. Strata Water Solutions has been installing remote wireless readers since 2007. The reader has a battery life of approximately 12 years. It attaches to the meter but still permits the owner to read manually if required. The readings are normally conducted from the front of the property but can range up to 200 meters from the site. • Abnormal usage can often be identified – the remote reader has a 2 liters per hour tolerance whereby an alarm is then triggered – this could signify a leaking toilet cistern, faulty hot water service overflow valve or a faulty air conditioning valve. Due to the proven effectiveness of these meters, we recommend them as essential for properties where access can be problematic. For more information on how a Cyble Remote Reader works download the PDF to the right. Further information on the services provided can be found in the flyer to the right. We encourage you to print it and take it to your next Strata/Community Corporation meeting or discuss it with your neighbors.